« 2018 Season Schedule Release! 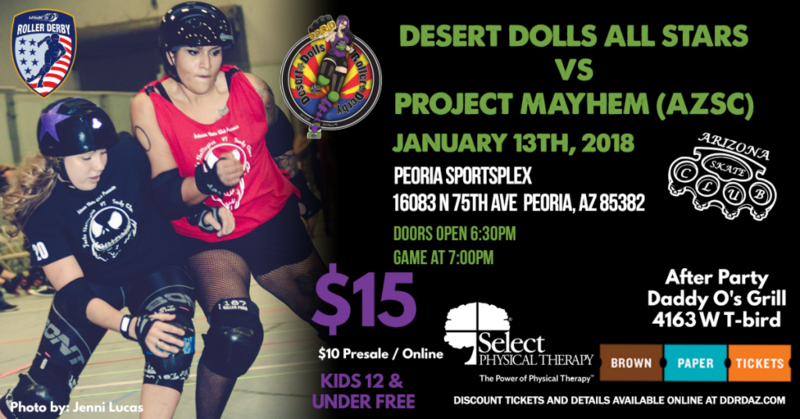 Desert Dolls Roller Derby will kick off its 2018 season with a game featuring the Desert Dolls All Start team! DDRD will be playing against the newest USARS club in Arizona, Arizona Skate Club. Join us for an exciting night of fast paced, high action roller derby! Tickets will cost $15 at the door the day of, buy earlier to save a few bucks. Doors to the event open at 6:30PM. After the game, join us at Daddy-O’s Grill for some food, fun and drinks!